1. Log-in to Moodle and click on your course. 2. Select the ‘Edit’ button at the top right. 4. 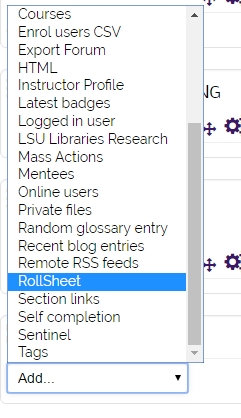 Select the ‘Generate Rollsheets’ link in the ‘Rollsheet’ block. 5. If you would like to print the rollsheet, click on the ‘Print Rollsheet’ button at the top right.